Saying that open-mindedness isn’t Tina Smith’s strong suit is understatement. 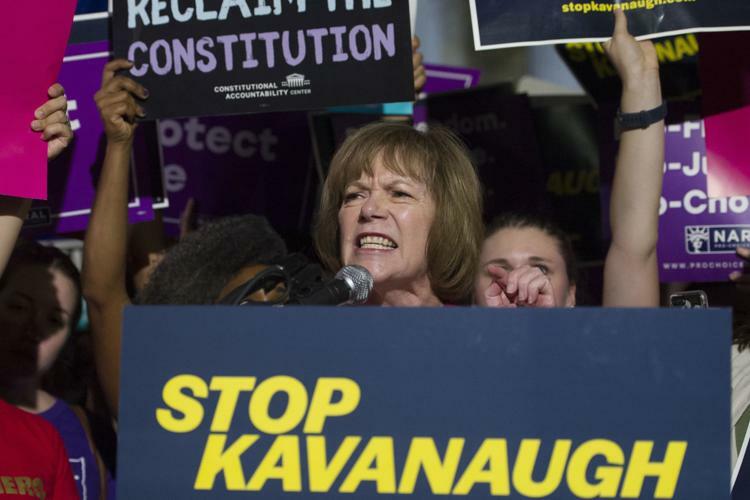 In this article, Tina Smith sounds more like the former executive vice president of Planned Parenthood of Minnesota, North Dakota and South Dakota than an open-minded US senator. 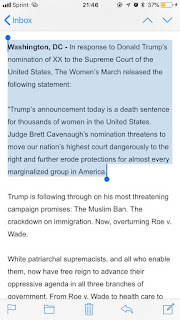 When she arrived in the US Senate, Planned Parenthood of Minnesota, North Dakota and South Dakota issued a statement congratulating her. 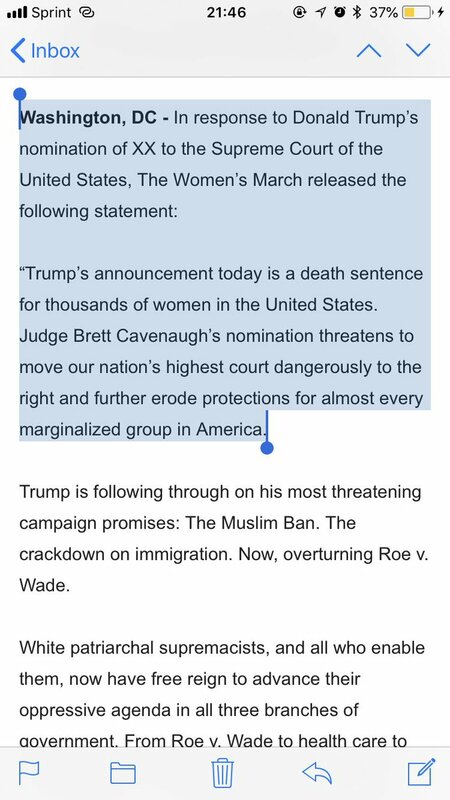 Standing on the Supreme Court steps at a Monday night rally, Smith accused Trump of picking the D.C. federal appeals judge from a list drawn up by “far right ideologues” who believe he’ll cast the deciding vote on overturning legalized abortion under Roe v. Wade. 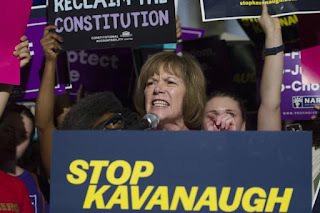 Tina Smith is just as nutty as Harris, Schumer or Warren. Democrats have insisted on using every trick in their book to obstruct President Trump’s nominations to cabinet positions, Supreme Court justices and appellate court judges. They haven’t stopped using those tactics because they’ve never paid a price for their obstruction. This afternoon, that changed. This afternoon, Senate Majority Leader Mitch McConnell announced that he’s cancelling the Senate’s August recess. That means 10 vulnerable Democrats will lose time to campaign in their home states while their opponents campaign and fundraise. Sherrod Brown, are you feeling better today than a month ago? While Jim Renacci is campaigning throughout the state during August, you get to slog through appropriation bills and judicial confirmation votes. Trump won Ohio by 400,000+ votes in 2016. I’m pretty certain his voters will turn out, especially after you voted against the Trump/GOP tax cuts. Good luck this November. Bob Casey, are you feeling better today than a month ago? You, too, voted against the Trump/GOP tax cuts. Now, you won’t have as much time to campaign as you’d anticipated. Good luck in November. Jon Tester, how’s that long flight back to Montana? You thought you’d have the month of August to campaign. You really needed it after making those baseless accusations about Ronny Jackson. Instead of campaign in August, you’ll be spending your time in DC wading through appropriations bills and confirming Trump’s judicial nominees. Good luck in November. Mitch is playing this properly. If Democrats want to play hardball, let them lose some Senate seats as a result. This Bloomberg News article opens by saying “The House and Senate were in session Sunday with a federal government shutdown in its second day amid a spending-bill impasse in Congress.” Apparently, Democrats, including Lindsey Graham, didn’t get the memo. They think the bill that funds government operations, aka an appropriations bill, is the perfect opportunity to codify into law a DACA fix. Once Vice President Pence returns home from his trip to Israel, Senate Majority Leader Mitch McConnell should schedule a vote to change the rules of the Senate that would require only appropriations be allowed in appropriations bills. I know that sounds like a radical concept but people not living in that sphere of insanity known as Washington, DC, would find that rule change sensible. Further, the Senate should require an up-or-down vote on appropriations bills. One of the primary functions of congress is to fund the government. Political party shouldn’t be allowed to stop that process dead in its tracks. That’s what the Democrats are doing. The Senate rules should let them do their job. Period. It’s time that Democrats learned that elections have consequences. Finally, Republicans should highlight the fact that Democrats care more about illegal immigrants than they care for vulnerable children or the military. BTW, it’s time to kill the sequestration caps. They’re killing the military in terms of training and readiness. First, I’ll stipulate that there’s no such thing as a permanent majority. Next, though, I’ll state that Democrats have radicalized themselves so much that it’ll take a decade (or more) to become a viable national party. Right now, they’re a bicoastal minority party. That isn’t just my opinion. It’s 538.com’s opinion, too. Wasserman explains this phenomenon by saying “In the last few decades, Democrats have expanded their advantages in California and New York, states with huge urban centers that combined to give Clinton a 6 million vote edge, more than twice her national margin. But those two states elect only 4 percent of the Senate. 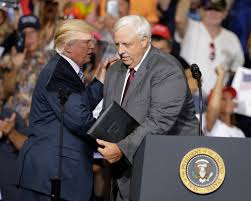 Meanwhile, Republicans have made huge advances in small rural states, think Arkansas, North and South Dakota, Iowa, Louisiana, Montana and West Virginia, that wield disproportionate power in the upper chamber compared to their populations. This is a better explanation for what’s happened during the weakening of the Democratic Party: the Democratic Party has spent far too much time courting environmental activists and too little time connecting with blue collar workers. Democrats focused so much time on Hispanics that they forgot that there’s a ton of blue collar voters in America’s heartland. If Democrats don’t get their act together, they’ll quickly become the minority party for a generation. It’s that simple. Now that the new Congress has been sworn in, Merrick Garland’s nomination to the Supreme Court has faded into history’s mists. With the nomination’s passing came the obligatory statements from the Senate Majority Leader and the new Minority Leader. While Democrats express their sour grapes, the American people will move on. They’ll worry whether Senate Democrats will attempt to force families to continue using the ABACA. They’ll worry whether Democrats will insist on not protecting the US-Mexican border. People in Chicago will wonder if the Trump administration will be called in to deal with all of the gang-on-gang violence or whether they’ll be frequent targets of gang-on-gang violence. Sen. Schumer has more than a little pressure on him. If he makes deals with President Trump, he’ll get booted by Bernie Sanders or Elizabeth Warren for being too soft. If he takes a Warren-like hard line, he’ll imperil somewhat moderate Democratic senators for their 2018 re-election campaigns. This MinnPost article poses the hypothetical question of whether Sen. Klobuchar will run for governor in 2018 rather than run for re-election to the US Senate. That’s a good question. The article describes Sen. Klobuchar as “a political heavyweight”, which is fair considering the fact that she’s won her Senate races fairly handily. I don’t know, though, that she’s unbeatable. In the Senate, she’s co-sponsored lots of meaningless bills with Republicans. So what? She hasn’t distinguished herself as a leader on the biggest issues of the day. In fact, she’s avoided the toughest issues of the day. There’s another consideration that Democrats haven’t talked about, which is that 2018 promises to be a difficult year for Democrats. There’s a definite possibility that Republicans could win enough seats in 2018 to have a filibuster-proof majority in 2019. If that happens, Sen. Klobuchar’s presidential ambitions immediately disappear forever. I can’t picture Sen. Schumer not pressuring Sen. Klobuchar to run for re-election to prevent that filibuster-proof GOP majority. I don’t doubt that DFL readers of LFR are questioning my implication that a Republican would win that seat if Sen. Klobuchar ran for governor. That’s fair. 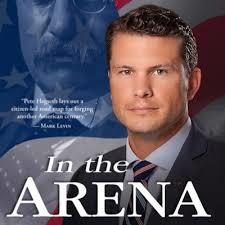 Still, if Klobuchar ran for governor, I’d bet big money that a Republican like Pete Hegseth would jump in and defeat the DFL-endorsed candidate fairly handily. Klobuchar could bridge Minnesota’s rural-urban divide: One of the loudest messages of the 2016 election is that many rural residents don’t feel understood or heard by the political establishments in Washington and St. Paul. In particular, many rural residents were upset by the costs of health care. Sen. Klobuchar voted for the ACA, which means she’s partially to blame for Minnesota’s skyrocketing premiums and expensive premiums. It’s impossible to vote for that disaster, then insist that you’re blameless in the matter. The only way she’d have credibility is if she voted with Republicans to repeal and replace the ACA. If she did that, the DFL base would treat her like she’d just proposed building a coal-fired power plant in Minneapolis. Sen. Klobuchar is a formidable opponent. Still, I don’t want Republicans to think that she’s unstoppable. When she ran in 2006 and 2012, she ran in very pro-Democrat elections. That won’t be the situation in 2018. Further, she was protected by the media from scrutiny. While it’s true that the Twin Cities media will still protect ‘St. Amy of Hennepin County’, Sen. Klobuchar’s nickname, Minnesotans are in a totally different mindset. I still find it difficult to believe she’ll give up her cushy Senate seat to run for governor. 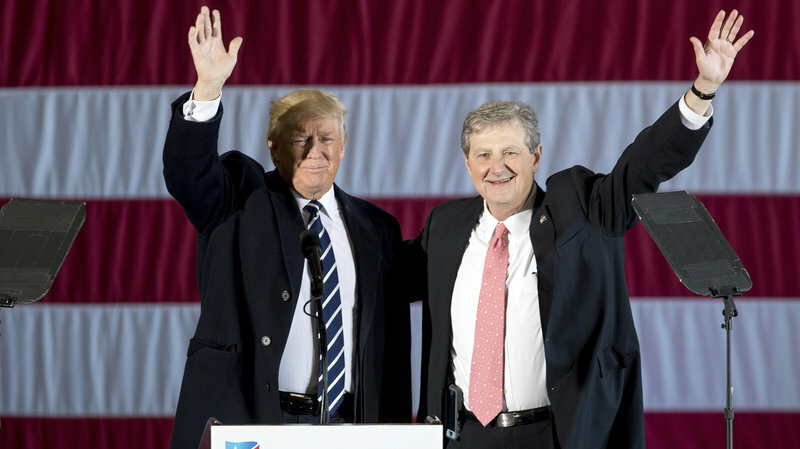 Initially, it sounded strange to say that John Kennedy has won the runoff in Louisiana to become the Senator-Elect. The race was called just 45 minutes after the polls closed. That last sentence said everything. The people I’d talked with said their biggest worry was that Kennedy’s lead was so big that they sweated whether Republicans would turn out. Apparently, President-Elect Trump’s visit there yesterday fired up the GOP faithful to the point that Kennedy won a quick victory. It’s been an amazing year for Republicans across the nation. They defeated Hillary Clinton. They entered the year defending 24 Senate seats while Democrats were defending 10 seats. Republicans entered the election with a 54-46 seat majority in the US Senate. Many pundits expected Democrats to retake the majority in the Senate. Instead, Democrats finished with a net gain of 2 Senate seats. Because of their performance this year, Republicans have positioned themselves to win a filibuster-proof majority in 2018. That’ll require recruiting great candidates with an appealing message. Still, it’s much easier recruiting top-tier candidates when you’re winning than when you’re losing. The race in Wisconsin is tied. That sentence seemed improbable 6 months ago. Back then, most people thought Sen. Johnson was history. With Feingold’s skeletons multiplying, don’t count Sen. Johnson out. That would be a monumental mistake.